Caroline Jarrett’s column for June 2004 deals with the complicated matter of using a screenreader and the implications for accessibility testing. Wrong. Very, very wrong. 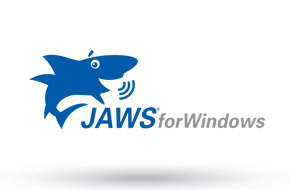 As a sighted person, I found it exceptionally difficult to make any sense at all of web pages using JAWS, even those that had been thoughtfully designed for accessibility. There was just too much information coming at me. JAWS is a powerful, complicated product with a steep learning curve. Let me pick an isolated example, a feature that was new in JAWS 4.1: ‘For several years now, JAWS has provided a way to skip ahead during Say All. While this has been a great feature, we have had many requests to provide a rewind also. The wait is over! During a Say All, INSERT+DOWN ARROW, you can now skip forward by line with the RIGHT SHIFT and then skip back just as easily with the LEFT SHIFT. Tap the SHIFT key 5 or 6 times and jump back 5 or 6 lines without interrupting the reading. Hmm. What’s a “Say All”? Why would I want to skip ahead? Why is it so useful to rewind as well? Will I be able to remember ‘INSERT+DOWN ARROW’ followed by RIGHT SHIFT? And that’s just a single keystroke sequence in a product that has zillions of them. I’ve since realised that I should have got some training from an experienced JAWS trainer before trying it on my own, so that I could learn which of the many control-key sequences are the most helpful to a beginner. People who use JAWS jack the speech rate up really, really high. They ‘speed hear’, and get very good at picking out the salient features of what they hear from the morass of sound that comes at them. This is rather like the process of a sighted person viewing a web page: we don’t look at every detail, we focus on the parts that seem interesting. I made the mistake of trying to use JAWS with the screen turned on, so I had two conflicting interpretations of the screen hitting me at the same time. I’ve since found out that if you do want to learn JAWS, or any screen reader, it is essential to switch the screen OFF. A person using a JAWS is actually using three applications at once: the website or web application, the browser, and the screen reader. If you’ve tried to teach a complete web novice such as an older relative then you may be familiar with the issues this creates, trying to help them understand when they should be looking at the grey bar at the top and when to concentrate on the meat of the page. Now add in a third thing to concentrate on, and remember that you can’t see any of it. And, JAWS is modal on top of that. If you want to type data, as in a web application, you’re swapping in and out of EDIT mode. The temptation when looking at JAWS for the first time is to go directly to the website that you’re interested in. That gives you the triple burden right off. I never progressed to being able to use it successfully, but I speculate that it would be better to try to use it on something really simple, like Notepad, and then gradually work up to the triple burden. ‘Low vision’ as a description covers a very wide range of different issues with seeing, but in general most people, who can read at all, will read rather than try to work with a screen reader even though reading may be a tiring and difficult process. There’s a huge range of different problems but you can get a bit of insight into some of them by moving your monitor 3 metres or 10 feet away from you. Those of us who wear contacts or glasses can also get some effect of low vision by trying to see without them. You’ll find yourself following the Royal National Institute for the Blind’s advice: ‘bolder, bigger, brighter’. So, my bottom line is: by all means try the software for yourself. It’s an interesting thing to do. But don’t think that it will substitute for getting people with disabilities to test your product, website or web application for you. A version of this article was originally published as a Caroline’s Corner on Usability News, the online magazine of the British Computer Society Interaction Design group.